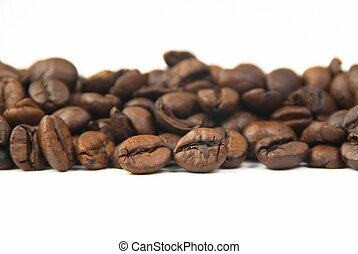 Coffee cup on roasted coffee beans. 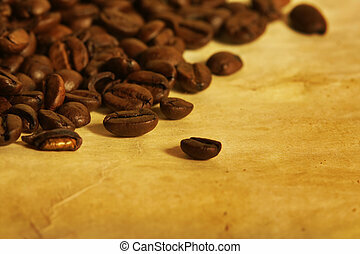 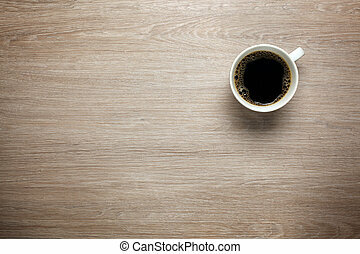 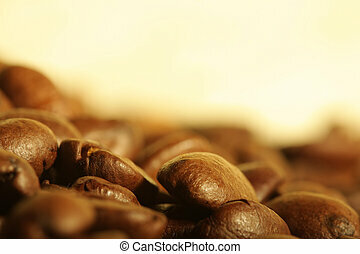 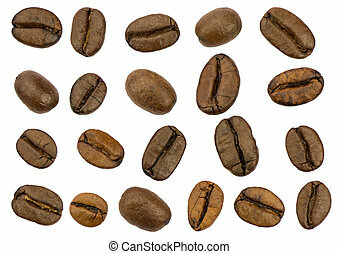 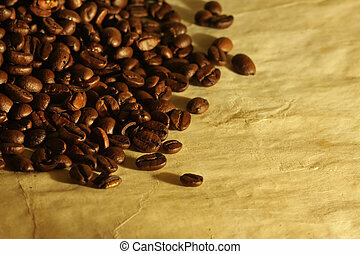 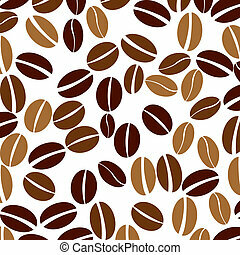 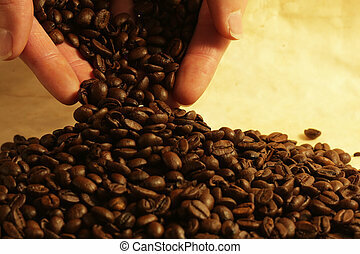 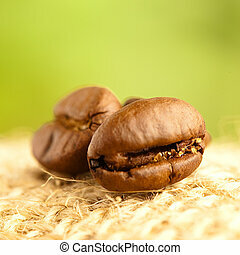 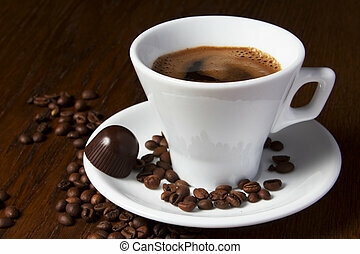 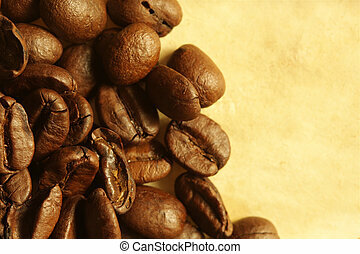 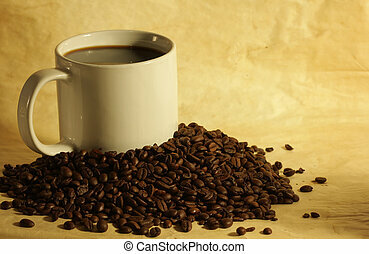 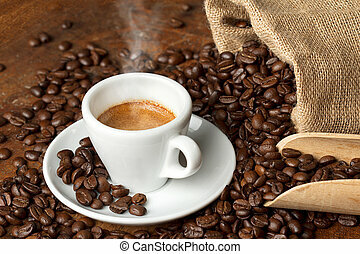 Roasted coffee beans isolated on white background. 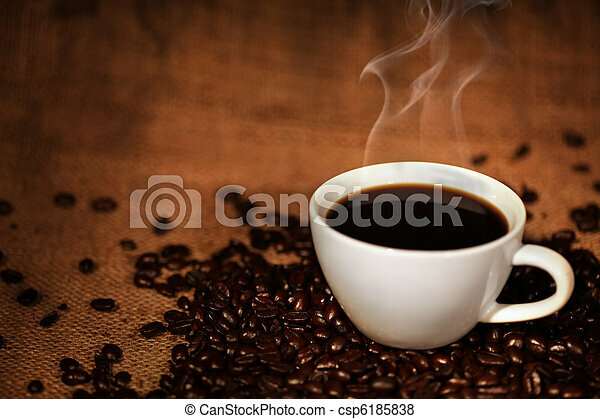 Separate clipping paths and one complete clipping path for the whole set. 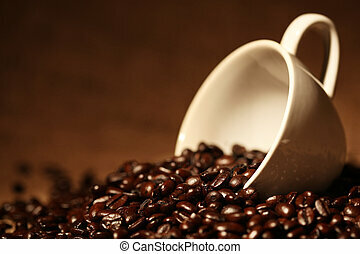 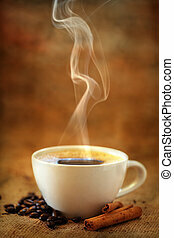 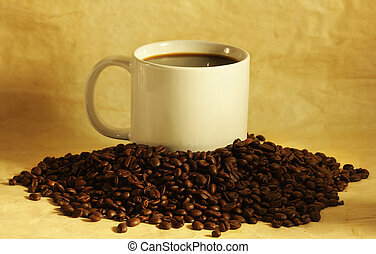 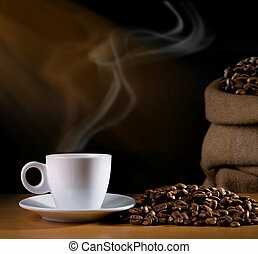 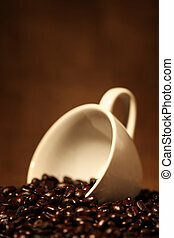 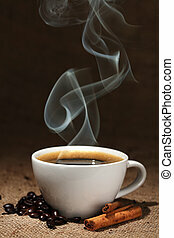 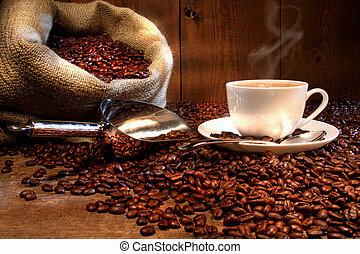 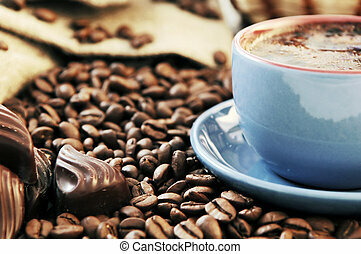 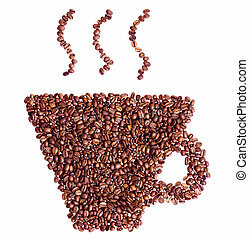 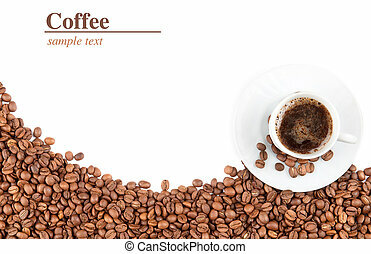 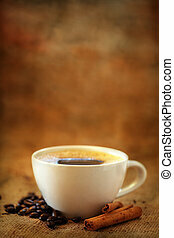 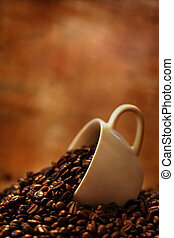 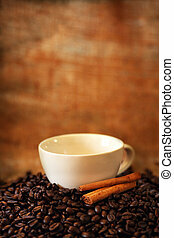 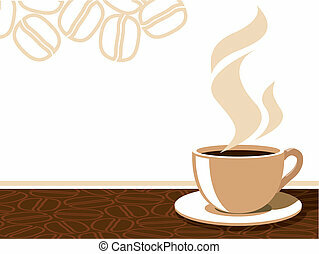 Coffee cup with aroma steam on a background with coffee beans, vector illustration. 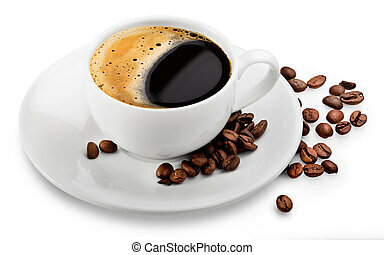 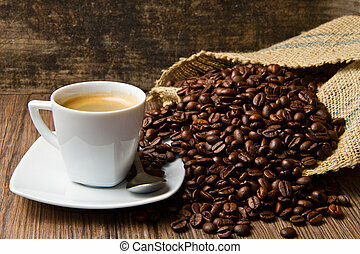 Coffee Beans - Coffee is a brewed beverage prepared from the roasted seeds of several species of an evergreen shrub of the genus Coffea.